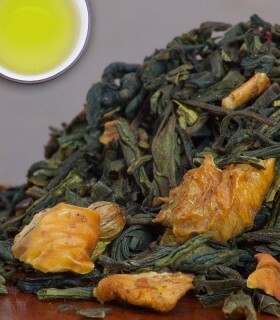 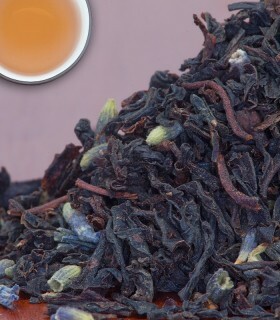 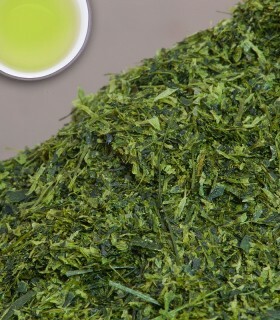 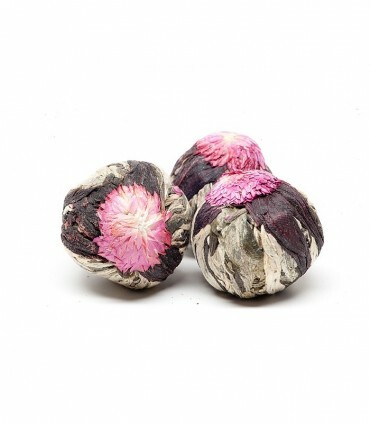 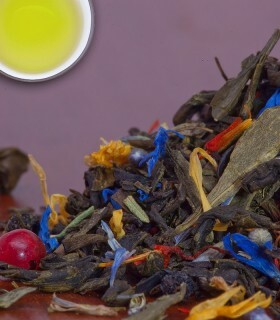 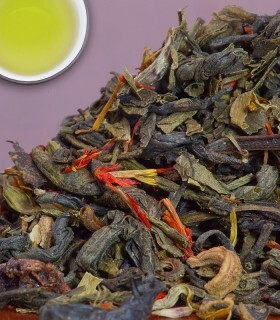 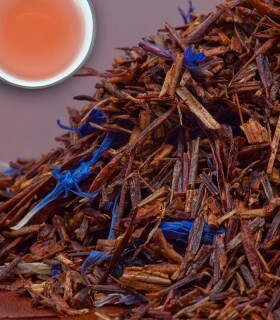 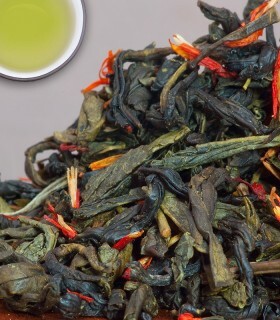 Exquisitely tied china green tea leaves with hibiscus, aramanth, and lavender. 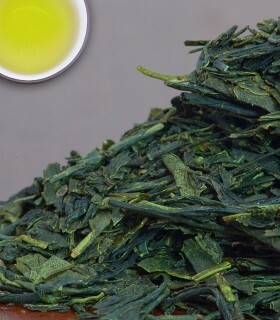 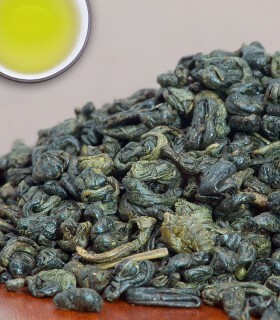 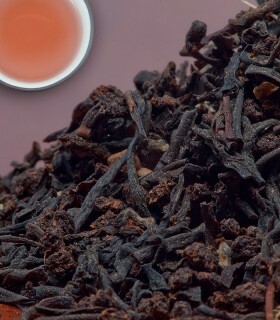 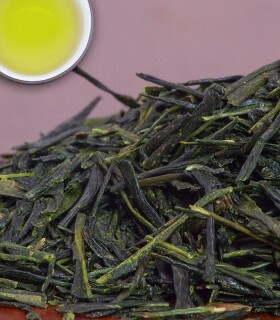 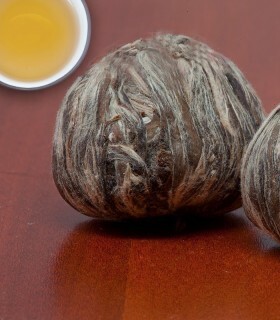 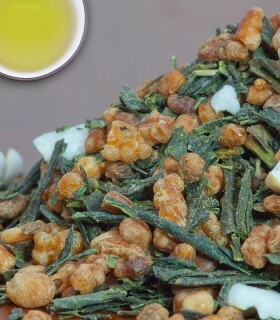 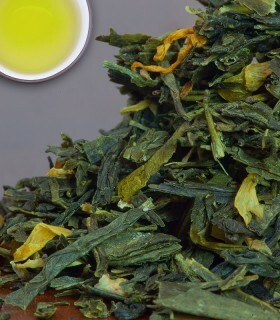 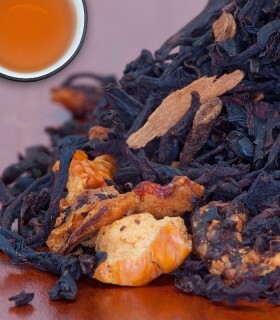 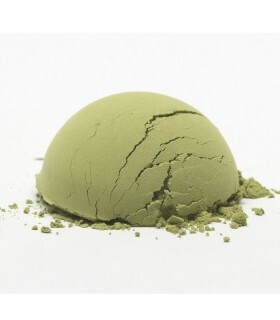 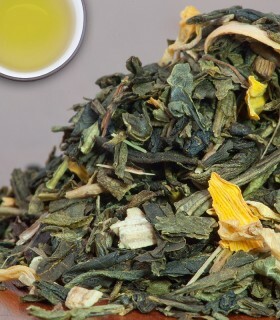 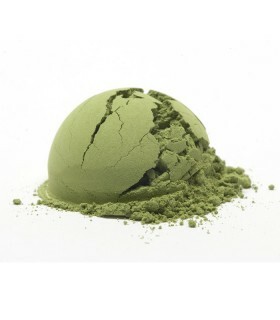 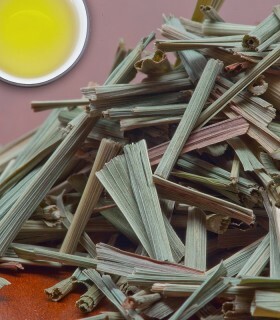 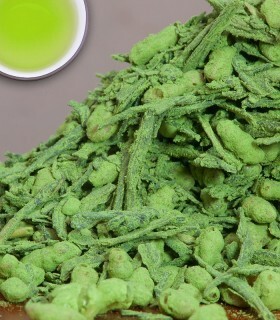 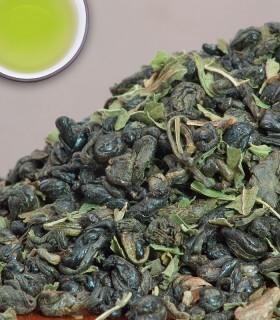 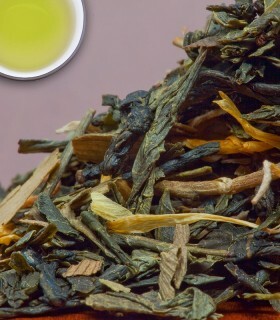 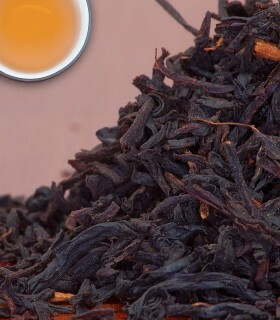 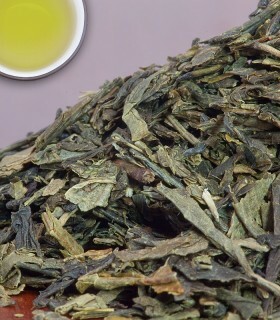 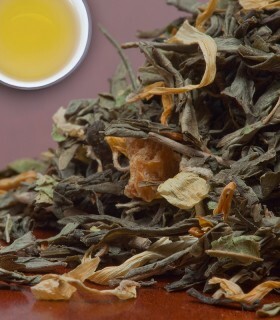 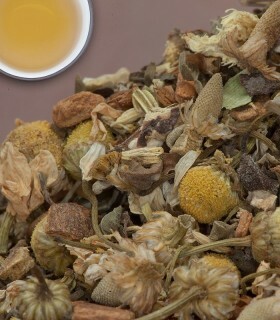 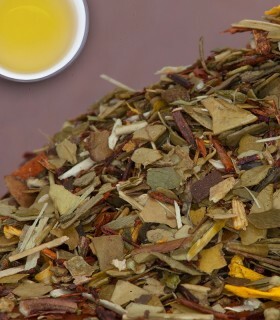 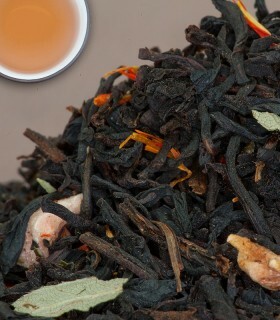 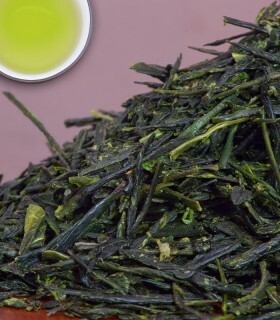 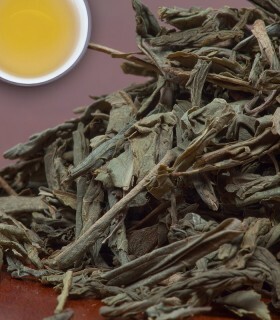 Has a slight lemony note with a definitive honey-like sweetness. 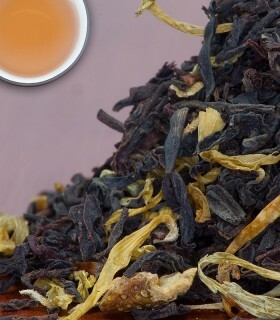 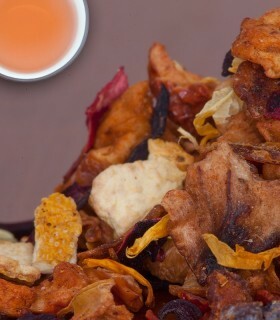 Ingredients: China green tea, hibiscus, aramanth, and lavender.